After an epic performance on the Grammy Awards, Lady Gaga and Metallica are set to record an album collectively, with a Metallica member letting the news slip on Twitter. 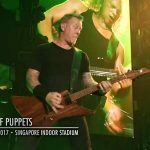 Guitarist Hammett accidentally revealed plans for the Bad Romance singer was going to record vocals for an album planned for launch in early 2019 by responding to a follower’s question on the social networking website. In accordance with MetalDen.com, he replied ‘Gaga is gonna kill em all in the studio when she sings for us’, when requested about the possibility of a collab on the album – set to be known as The White Album. 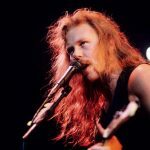 The comment was apparently swiftly deleted by the Metallica star, fueling gossip that the singer is already lined up for a recording session with Metallica. And it is not the first time rumours have been rife in regards to the 2 iconic music stars hooking up. Regardless of awkward technical difficulties, the collaboration between the rock band and the Born This Way singer, er, rocked the music world in February, and followers wanted more too. Plans for the 2 acts to work together again then came to surface when the rock band stated she was the ‘quintessential perfect fifth member’ in an interview with Rolling Stone. 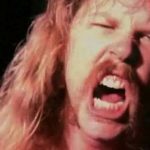 Drummer, Lars stated: ‘[She is the] quintessential perfect fifth member of Metallica. Her voice, her attitude, her outlook on every thing is so awesome. He continued: ‘It comes very easy for her. There is nothing contrived; she just has this super warm, easy energy. ‘We already began fast-forwarding to the subsequent chapter after we can do more of this. It is not a kind of “20 lawyers, strategists and managers making an attempt to force two individuals from 2 different worlds to figure out how to spend 4 minutes together on a nationwide telecast”.